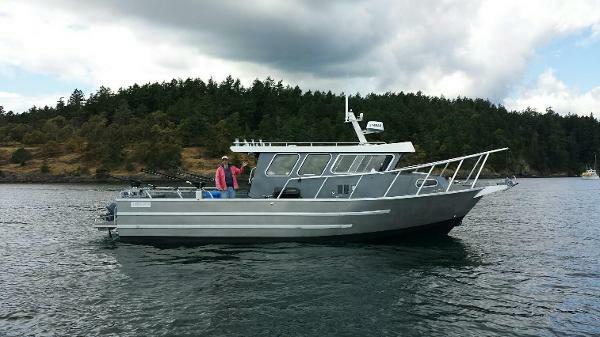 This vessel represents an opportunity to own one of the best Northwest fishing and cruising platforms ever made. Diesel powered and low hours, she can do it all. This vessel seems like a larger boat while under way or on extended stay, but fishes and docks like a smaller craft. Built to the specifications of her meticulous licensed professional Captain owner, she's listed well below her replacement value of $425000. Very little has been left off her amazing appointments. OWNER IS DOWNSIZING AND WILL CONSIDER TRADE FOR A SMALLER BOAT! Just some of Miss Micky's features include: Twin Volvo D-4 diesels w/425 hours New generation "D" series drives. (1) spare prop set Custom sound dampening Engine bay dehumidifier Rear helm Bow thruster Bottom paint 25 HP Yamaha high thrust kicker w/ss prop guard. Custom steering system allows mains to turn in concert with kicker for exceptional control while trolling. IMC EZ lift hydraulic motor bracket 250 gallon aluminum diesel fuel tank 15 gallon aluminum gasoline tank Fresh water Holding tank with macerator Hot water Electric flush toilet V-berth Mid-berth Stand up head with shower Simrad EV02 12' multi function display at helm Simrad 9" at rear helm Simrad autopilot Simrad 4G Broadband radar Airmar SS 175 HW 1 KW chirp transducer Simrad VHF Simrad wired remote Class B AIS NEMA 2000 backbone Morad antennas Plastimo compass Sea View mast Fusion stereo Iris IR video camera (2) Engles refers/freezers Origio alcohol stove Stainless sink Microwave Wallas diesel furnace Suspension helm seat Diamond sea glaze windows and sliding door Solar exhaust fans Heatercraft engine heat/defrost (2) 4D house batteries (2) Group 31 main engine cranking batteries (2) Bow thruster batteries Blue Seas breaker panels 3100 watt Magnum inverter 120 V shore power (4) bilge pumps (12) rocket launchers Wired for (3) Cannon downriggers Cannon bottom track transducer Safe-T-Puller pot puller Fish holds with diaphragm pumps LED spreader lighting Rigging station Raw water wash down Windlass 35 lb anchor w/ 50' chain and 400' nylon rode And much more! 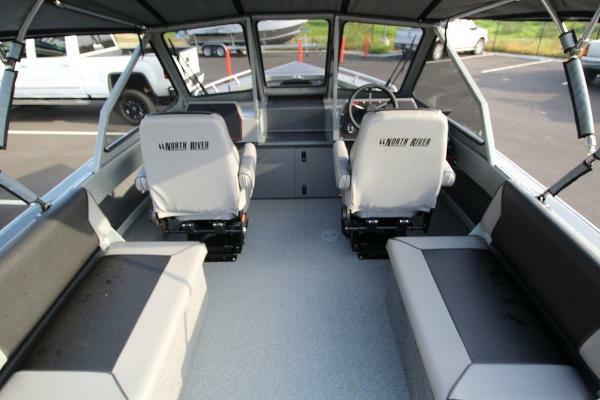 2019 North River 21' Seahawk This legendary North River model has a great ride and category leading quality. 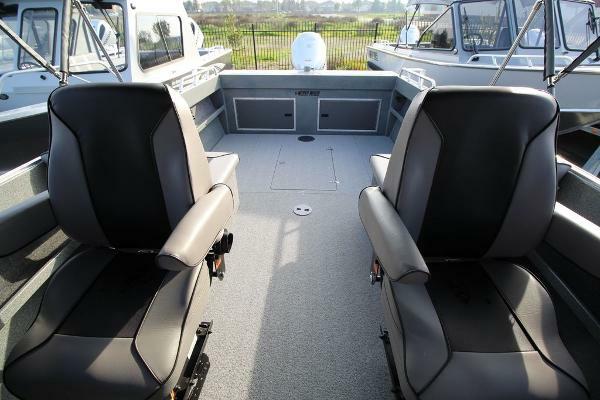 The long list of standard features make the 21' North River a great value: Suspension seats for the driver and passenger, trim tabs, full painted sides and compare our standard .250" thick bottom. 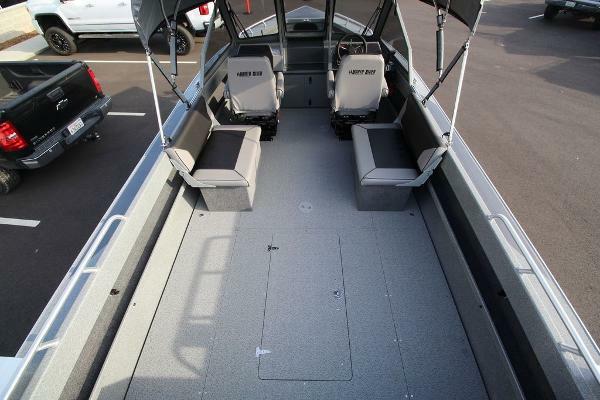 There is more storage throughout this model with deeper, dual rear fish boxes, in floor storage and huge storage under the bow and under the bench seats. The fisherman's canvas package is built with the same quality as the boat with a rugged frame, side curtains and a back drop. 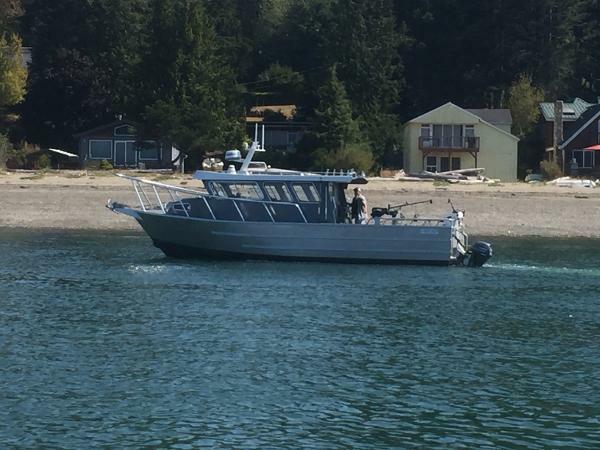 This boat is also equipped with dual batteries, washdown hose and pump, welded stern rails with down rigger brackets and an aerated rear fish box. Our standard trailer is welded with a full length frame that supports the overall length of the boat/extended transom and the weight of the motor. It also comes with disc brakes, a swing tongue LED lights and metal fenders (instead of plastic). The standard tall loading guides make it much easier to load in the wind or the Delta currents.